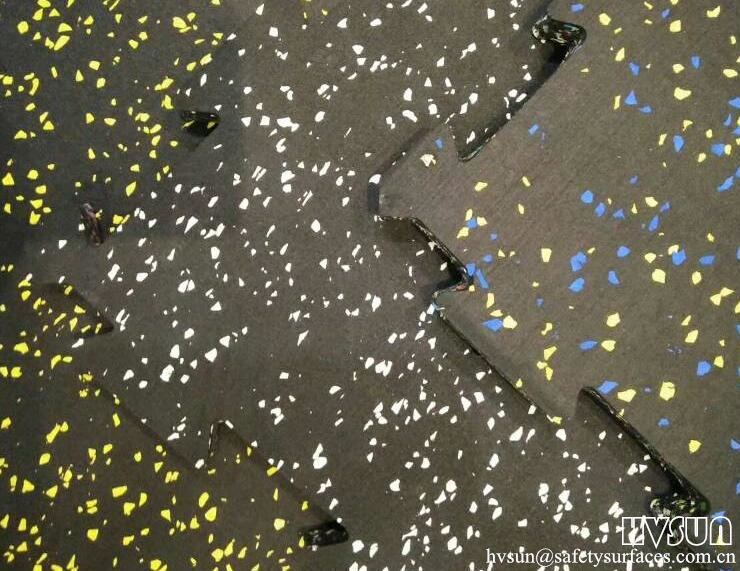 These HVSUN rubber floor flooring, made using recycled rubber, are an excellent flooring option for comfort and durability. They are thick enough to be used as gym flooring,but at the same time look good enough for use in basic residential applications such as flooring for a basement.This type both have straight side and interlocking style.Buy these interlocking floor to experience the benefits of eco-friendly, easy-to-install rubber surfacing today! More colorful:These new types are more beautiful in color,you can have various colors on the top and the different colors granules at the bottom.Now Our gym is not alway one simple color.